If there is one aspect of cryptocurrencies that still, to this day remains largely unexplored, it is that of mining. It is but a mere smidge of an industry when you compare it to the massively popular and globally acclaimed giant that cryptocurrency investments have become. Successful miners though have a different story to tell. When you go ahead and talk to people who have actively indulged in Bitcoin mining and made it somewhat of a profession for themselves, you will most likely find out that if done in the right way, there is a chance that you might seriously rake in big profits from mining for crypto coins. Although complicated and a much difficult task to master, mining does offer some fantastic incentives that you won’t really find anywhere else. It basically all depends on how much you are willing to spend on this venture. For example, as far as beginners are concerned, they might get seriously intimated looking at the initial costs of setting up and starting with a Bitcoin miner of your own. First of all, there’s the price of the miner itself. Once you get past that, you need to deal with a much-heightened energy bill which is in fact, recurring in nature. These power and energy bills are due to the fact that miners simply take up or consume a vast amount of energy when operational. They run on massive bundles of electricity. However, improvements are certainly being made and as far as the newest models of said miners are concerned, they are proving to be quite (relatively) energy efficient and safe to run. Secondly, if you talk of the models of mining rigs which have been on the market for some time now, you will find that most of them are in fact not fit to run in a residential complex. This is simply due to the fact that they generate a lot of noise, disrupting the peace and harmony of everyday life. So if you are planning to have an operational mining rig in your home, either make sure you and your neighbors are completely fine with the ruckus it is going to create or opt for a rig which clearly specifies that it generates the barest minimum amount of noise while running. Now the next big thing that you must consider in your purchase of a mining rig, or the decision of whether or not you must buy a miner at all, is the profitability. Factor in the costs which were explained above. Take into account everything from the initial investment to all the recurring costs that you are probably going to face, and finally arrive at a figure which will be a rough estimate on how you much you are going to end up spending on the venture. The next step is to take a good look at the specifications of the miner you are interested in and find out the number of Bitcoins it can effectively mine in a year. That would lead you to the amount of money you will roughly make in a year. Now compare the two values, and you have your answer. Now once you are all set and moving forward with your decision to purchase a miner and begin mining for cryptocurrencies, there are a few terms you must get familiar with. To begin with, the Hash rate is the rate at which a miner solves computational problems and complex algorithms which further lead to mined coins. It is directly dependent on the number of users involved in the network. More the number of users more will be the hash rate for your miner. Hash rate is, in fact, a direct measure of the performance of your mining rig. Bitcoins per block is a means to specify the number of Bitcoins which will be mined whenever a computational problem is successfully solved. The figure started out at 50 and is halved roughly every four years. A mining pool is nothing but a group of miners who have come together and mine collectively in order to achieve better results at faster speeds. It is a way of improving the efficiency of mining and minimizing an individual’s losses. Now such a group can’t be maintained unless some sort of operating fee is levied on each individual member. This very fee is often termed pool fee, while the overall profits of the pool are divided equally among all the members of the pool. The conversion rate is a term that we’re pretty sure all of you are familiar with. So let us try and focus our energies on trying to understand why it is important. For those of you who are thinking of getting into mining merely to accumulate coins or Bitcoins, it actually does not hold much value. But for those who are looking forward to selling the mined coins in exchange for actual currency, conversion rate becomes a deciding factor in determining the overall profitability of the venture. It is impossible to predict the BTC/USD exchange rate from the future, which is why whenever a person buys or mines Bitcoins, they must keep a check on the conversion rate to decide on the optimum time to sell those coins. Before going ahead and calculating the profitability of your miner, make sure you do check out the power specifications which are mentioned in association with the same. If you haven’t yet made the purchase, a quick search on the Internet will reveal all the details of the miner you are interested in. The key terms you need to look for are power consumption and electricity rate. Now that we’ve familiarized ourselves with almost everything that is somewhat critical to running a successful mining venture, it is time to dig into the miners itself. 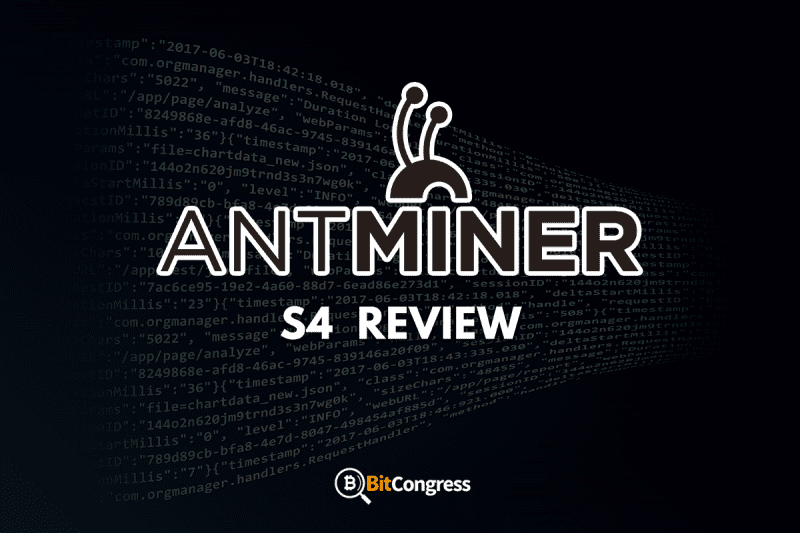 While there are a number of great options available on the market, the one which we are going to focus on today is the Antminer S4 released by Bitmain. Now straight up, this one looks pretty formidable and a great rig for professionals and beginners alike. 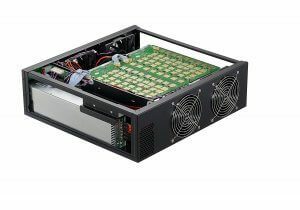 It comes in a 3U rack-mountable chassis much like one of its predecessors, the Antminer S2. The hash rate for this one is 2 TH/s and it uses the very well-made BM1382 chip. Now as per power consumption is concerned, the S4 leaves no cause for concern since it is actually a major improvement from the earlier version of this line. The GH/s to watt ratio has been significantly amped up while the fan runs at a good 3900 RPM. As mentioned before, the S4 is a great unit with some pretty fascinating specifications. But what makes it even greater is the fact that it actually functions as a single comprehensive unit. There is no need to attach an extra power supply to make it operational or to jack up the performance. The one thing that could potentially spoil the experience for you though, is the shipping process. Make sure you order the rig from a secure and trustable service since if you happen to choose an inefficient shipping service, the unit might face severe structural damages before even making it home. Now once you get the miner operational, you will notice an LCD screen which displays the IP address which the device is supposedly hooked on which lets you carry out easy navigation to the control panel of the device and enter your own password and pool settings. Now while, as per convention, the default values for username and password are root and root respectively, it is highly advisable to change to something personal and secure as soon as possible. 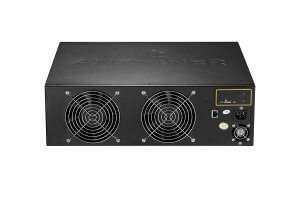 Check the cheapest price of antminer S4! Talking of the control panel, you won’t find many changes as it is still the same as was found in the earlier versions of the line. It remains amazingly rich with features and quite easy to operate and understand. One great feature with the S4 is the use of the DHCP which effectively enables the user to easily join the network. The effects of the same are more pronounced when using a non-standard addressing system. The very first thing to be done with the miner as soon as it is switched on is to flash with whatever happens to be the latest firmware. This would mean that the rig would get access to the cgminer 4.6.1 which is a much better version that the initial firmware loaded on the device. Now to get into more important things and understand what makes the S4 a great device for general usage, we take a look at the power specifications and compare them with those of the previous models. The S4 consumes a healthy 1450 watts while it gives you a hash rate of 1.96 th/s. As far as power cables are concerned, you will have to get one yourself for this device as the S4 does not ship with one. You must, however, pay attention to the kind of power cable you are getting since one rated 16 AWG or lesser won’t be able to handle the power specifications of the rig. They will simply melt down and can easily lead to severe damages to your miner and even harm the fuse box. As far as cooling is concerned, the S4 outshines the S2 easily with a fan that is faster and better at what it does. The blade arrangement has been better optimized and which is why the S4 stays much cooler than the S2. Talking of one of the most major flaws and the bane of a lot of otherwise great miners out there, the sound generated by the S4 isn’t actually that loud. Bitmain actually went on record before the release of the rig and released a statement saying that the S4 is probably going to be louder than the earlier models of the line-up. But upon rigorous testing and experimentation, the S4 manages to run at only 62 dB at a distance of 4 ft. This is remarkable when you compare it with some of the other miners out there. The internal temperature of the blades could vary anywhere between 45 and 49 degree Celsius while the ambient temperature remains fixed at 39 degree Celsius. 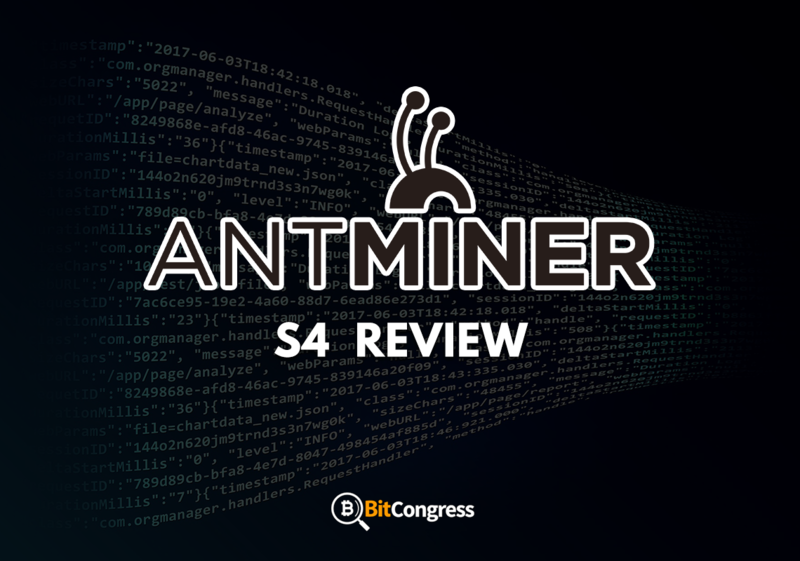 Although the Antminer S4 is a great rig, as with any other device, it does have its own fair share of flaws. First and foremost, since the firmware hasn’t been updated to the fullest, there are serious problems with the pools you can run on it without compromising much with the overall performance of the miner. This issue, however, takes back seat when you consider the ease with which firmware can be updated on the S4. All you need to do is download the latest firmware and then navigate to the control panel where you will find the update option. As far as the questions of ease of shipping and related concerns go, the S4 is shipped along with mounting ears which can be used for mounting the device on a rack and make for easy installation. Additionally, the internal layout of the blades has been designed to be horizontal and not vertical, which actually used to be the case with the earlier version, S2. A good reason why this change was made is that the S2’s vertical blades would often come loose and unattached, which obviously led to problems for the user. But now that the blades have been re-oriented, the chances of the blades coming off have been minimized. This just goes on to show that Bitmain is actually concerned with the convenience of their customers and routinely conducts quality checks on their products. The LCD screen has been designed to be quite fail-safe and shows absolutely no signs of damage even after days of usage. Although cryptocurrency mining may be a complicated and inconvenient task, there are certainly improvements being made in the field. And with all these new and improved miners coming out, you can be sure the day isn’t far when crypto mining will achieve levels of fame similar to what the Bitcoin has managed to achieve. But for now, let us content ourselves with what the Bitmain Antminer S4 has to offer. With an improved design, heightened functionalities and improved levels of power consumption, it is certainly one of the most advanced pieces of hardware on the market right now.